Planning for the future: values, facilitation, agenda, team-building. 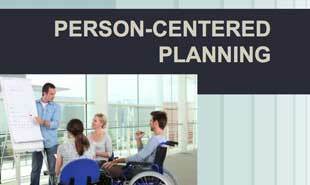 Covers the process of planning by and for a person with a disability, with the input his or her family, friends, and professionals. Defines the approach, its underlying values, and discusses facilitation, setting agenda, planning for the future, action steps, and more. Lots of examples, video, and exploration.